UPDATED: Sun., March 11, 2018, 10:46 p.m. 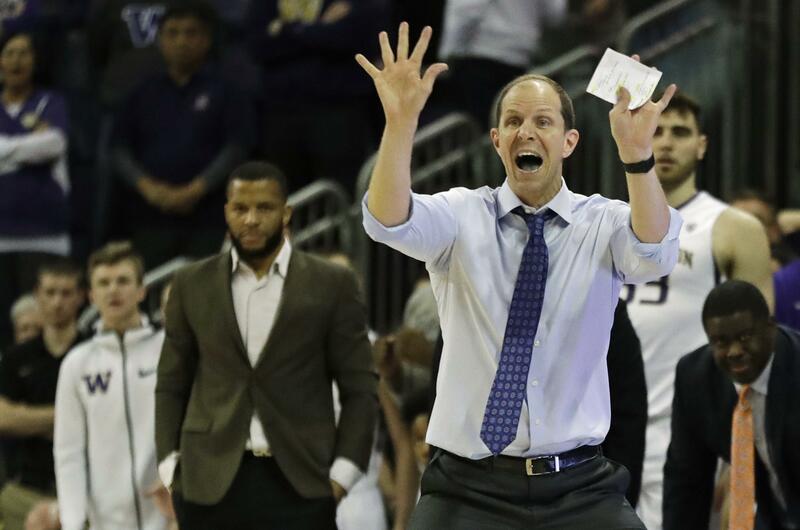 The Washington Huskies earned a No. 5 seed in the National Invitation Tournament and will host fourth-seeded Boise State on Wednesday. Washington (20-12) earned its first postseason berth since the 2016 NIT and will be making the ninth NIT appearance in program history. The Huskies and Boise State have faced off nine times, with UW holding an 8-1 advantage. The two programs last met in 1999. Although Boise State is the higher seed, Washington is hosting the game because Boise State’s arena is not available. Boise is among the first- and second-round hosts for the NCAA Tournament. The Washington-Boise State winner will play the winner of the game between Saint Mary’s and Southeastern Louisiana. Saint Mary’s, Notre Dame, Baylor and USC are the NIT’s No. 1 seeds. All four teams had been hopeful of receiving at-large bids to the NCAA Tournament. Other teams in the NIT field that were overlooked by the bigger tournament include Louisville, Oklahoma State, Middle Tennessee and Oregon. Published: March 11, 2018, 9:02 p.m. Updated: March 11, 2018, 10:46 p.m.